corresponds to a balanced coin), click on Initialisation to set up the simulation and then to Start. To end the simulation click on Stop. 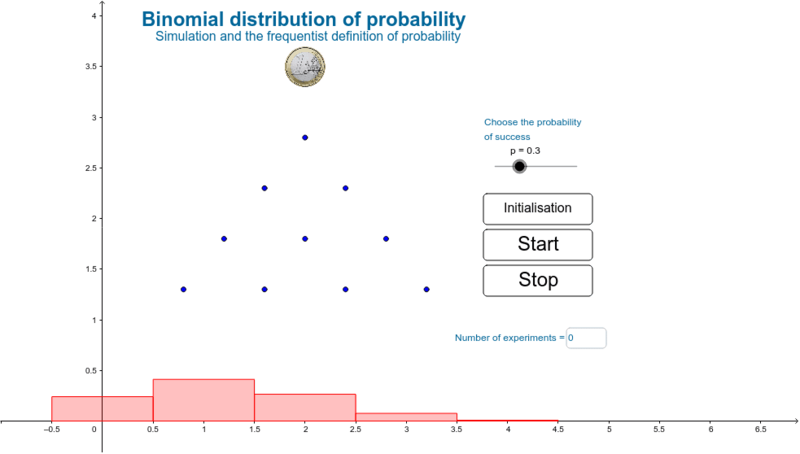 The binomial distribution is shown in red, while the simulated distribution appears in blue. See how an increase in the number of experiments results in a better approximation of the binomial distribution by means of the distribution of frequencies.